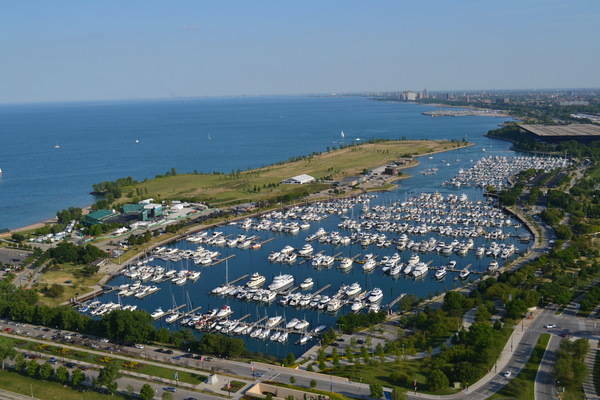 Burnham Harbor, the Chicago Harbors is not currently accepting reservations. Burnham Harbor, the Chicago Harbors will start accepting reservations for the upcoming season on 05/01/2019 at 9:00am EDT. The other boaters on our dock were very friendly-- but that's Chicago hospitality. The views of the Chicago skyline are spectacular. 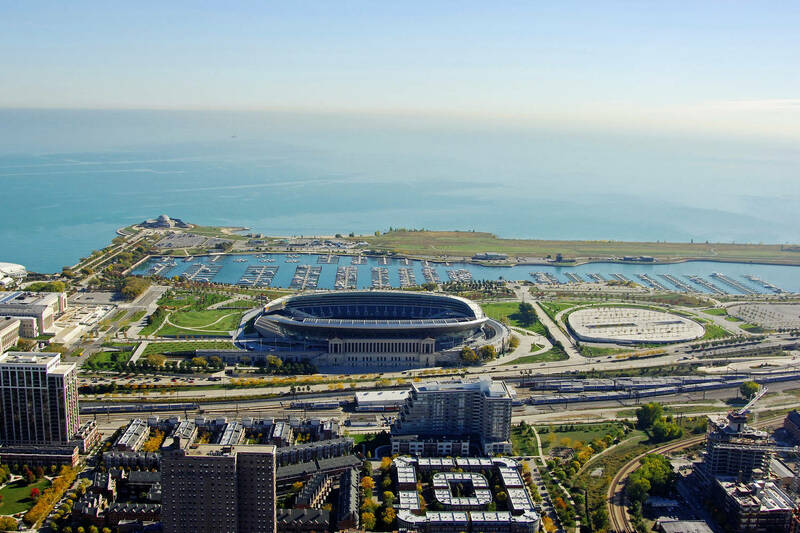 The easy walk to restaurants and groceries in the South Loop area makes this an ideal destination. The staff was very responsive and efficient during a problem we had at the dock-- they demonstrated empathy for an injury and clearly were very helpful. Very nice folks on the dock. Great walking paths and great location. I enjoyed the visit. Being on F dock gave great access to the bath house units! It is a very busy harbor in a great area. Thank you for your review. Unfortunately the local cafes close early on museum campus. 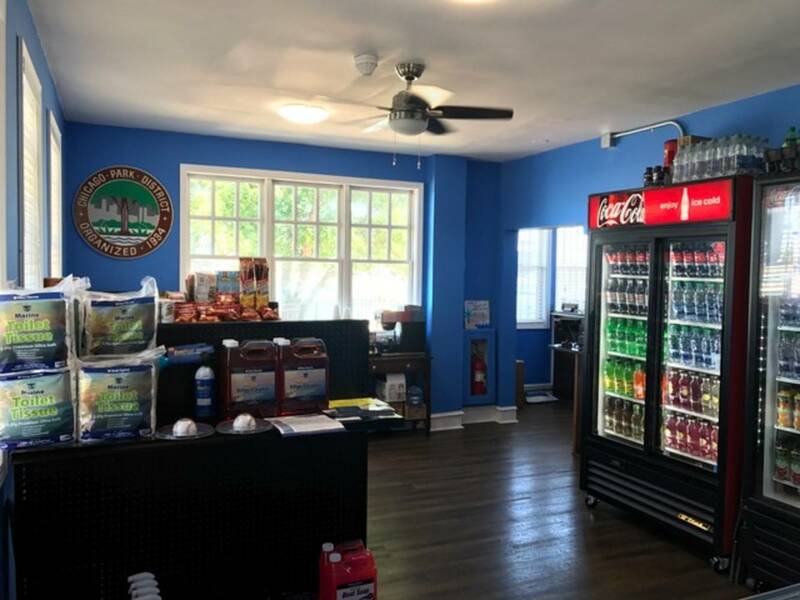 Next time stop in or give us a call during business hours and well be able to help you out and give you a few options. My boat broke down wouldn’t start in the launch and allowed me to work on it during a busy time with other boats launching. Eventually got it started... Good people helpful service clean facilities Thanks for a great weekend! Clean marina, easy in/out with trailer and boat launch. You can hear the music from Northernly Island and a beautiful view of the city. Great experience! The boat next to us was full of very inconsiderate 20 somethings. We finally had to contact security at 12:40 am to ask them to turn off their blasting music. Also the boat behind us was blasting music still at 1 AM and security said it's always like that at the Marina. We will NEVER stay at Burnham Harbor again. Also, at 7:30 AM we couldn't use the restroom because all stalls were filled with people taking showers. We had to find an unacceptable porta potty to use. Thank you for your review. I'm sorry to hear that you had an unpleasant experience at our marina after hours. We do have rules that state music is to be turned down after 11pm. I will be contacting security about this matter. We do hope you reconsider visiting us in the future. Great accommodating staff. Fuel dock well run and reasonable prices. Phenomenal view of the city and the Navy Pier fireworks. Our second year there and we will make it an annual event. Thank You Burnham Harbor!!!! Thank you for taking the time out of your schedule to review us. We are thrilled to hear your positive feedback concerning our staff, especially our gas dock attendants. We look forward to having you stay with us here again at Burnham harbor in the future as well! Convenient location, clean bath house, friendly staff. Thank you for your response. We are ecstatic to hear that you had a great experience with our location, facilities, and staff. We hope you will come visit us again at Burnham harbor! We thoroughly enjoyed Burnham! Shortly after we arrived we met a few of the season slip holders on our dock ... they were so friendly and invited us to join them on their trip to a beach the next day. Plus they offered some great advice since it was our first time at Burnham. We'll be back and are currently trying to find some time in September to return! Thanks again! We are thrilled that you enjoyed your stay. Feel free to call our harbor office if you'd like a list of concerts or events happening around our marina for the month of September. I'm sorry to hear that you didn't have a pleasant experience. I'd like to hear about the experience you had with our staff so we can improve. Please send us a message with your contact information if it's no trouble. We do hope you decide to return. The information we received about our dock was incorrect. Our email registration said G35 buut when we arrived there at 6:30 PM Sat. July 7, there was a power boat in G35. We found G38 was vacant and the boat on the other side of that dock assured us it was not used, so we parked there.We could not reach any one by radio at the HarborMaster. Also we requested gate codes several times during the week but never received it. So we had to stop at the fuel dock to get the gate code. Otherwise the dock was a convenient location from which to walk to the Northerly Island concert. Thank you for your review. I'm sorry to hear that you had a few issues with your stay. If you decide to return please feel free to call our office and we will make sure you get everything you need prior to your stay. Overall it is a very nice facility. There were times the code they gave would not unlock the bathroom doors even though it said it was not occupied. My GF did state the bathroom she went into was dirty. Mine was fairly clean. Would be nice if we had access to a water taxi on the night of the concert we were attending. I would have paid for the ride. Thank you for your review. Our facilities get used quite often and we try to maintain them as much as possible. Unfortunately we do not offer any taxi shuttles. The Burnham park yacht club does but it is for members only. We are glad you enjoyed your stay. Great marina with amazing views. Facilities were convenient and clean. Transportation in area via Uber, DIVVY bikes or taxi were easily accessible. Thank you for your review. We are happy to hear that you enjoyed your stay. Burnham is a great location especially if you are attending a concert at Northerly Island. The view is unbeatable. The bathroom facilities are less than desirable for such a nice marina. It would also be nice to have assistance docking when requested. That being said, we will be back because we love the location!! Hello Tammy! Thank you for the review. We will make sure to go out and test the pedestals at the slips you previously stayed at that way we can prevent other boaters from having the same issues as well in the future. The harbor master has been notified about the conditions of the bathroom facilities. We appreciate you taking time out of your day to bring these concerns to our attention. We look forward to seeing you for your next reservation with us. Great time and very clean! Thank you for reviewing us! We are pleased to hear that you always have a great experience here! See you next time. 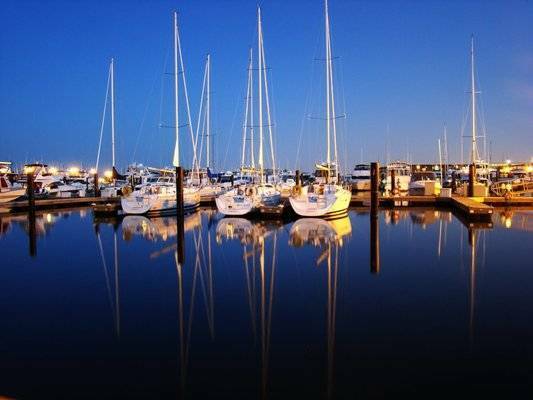 Hi Scott, we appreciate you taking out the time and reviewing our marina! Every year, at the beginning of the boating season we walk every dock in search of rub rail that may be missing and replace it. We will be adding this to our maintenance log and have a dock hand go out there and fix it. We hope that you stay with us in the future! Everyone from staff to occupants were extremely kind and helpful. Eveeyone went out of their way to make our stay extremely enjoyable will definitely return there and will highly recommend it to all. Thank you for such a kind review, we try our best to make everyone's stay as enjoyable as possible. We appreciate you recommending us to all, and look forward for your return! I was unable to pull the necessary power of the dock post. I would like to receive a credit for that part of the reservation. I have informed the marina. Thank you for taking the time out of your day to review our marina. We are so sorry to hear that you had power issues during your stay, the Harbor Master will be notified. Hope to see you again in the future! Great location with fantastic views of city skyline. 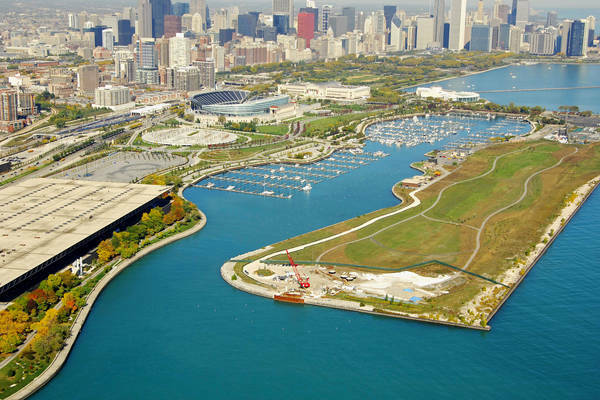 Slip was located on the northerly island side and good location for uber pick up. Friendly and helpful boaters. Only negative was bathroom cleanliness. Thank you for your review. We are glad you had a good time. This weekend was one of our busiest and was a bit challenging to keep up with the restrooms but we appreciate the feedback. We hope that you return in the future. Burnham harbor was wonderful! We stayed here for the Chicago air and water show. It was supper busy! Their staff was very nice and helpful. They do a good job at keeping everything pretty clean. The views are crazy cool! We have put this destination our todo list for every year. Thank you for your review. We are thrilled to hear you had an amazing stay and will be returning on your yearly bucket list. Great Trip to the city for the air and water show. Harbor is in great shape and the surrounding area is beautiful. Would like to see a parking pass included. Thank you for the positive feedback. We are happy to hear you had a great stay. We hope to see you next season. We LOVE this place!! And let me tell you, with the troubles we had getting here last year (our trip started at 4 am, getting to first lock- Dresden only to have an engine conk out, after engine fixed, next day- try again- leave at 4 am and have a 4 hour wait at Dresden- only to have our batteries drained by the time it was our turn (operator error- lesson learned) marina delivered batteries, windy and getting bounced on the wall waiting at Brandon st lock, going through the canals in pitch black with debris and barges everywhere, no one answering at Amtrak bridge to raise it, getting to Chicago Harbor lock at 3am and when the doors opened, staring out terrified at the black abyss, getting to our slip ;finally!) by 3:30am) you can be sure we wouldn't be making this trip again had our stay last year been awful. We even kept extending our stay it last year. Since we did have such a good time, I knew to book for a longer stay this time. Booking was easy, staff friendly & helpful, bathrooms are a dream!, and the picturesque location can't be beat! Even though we had to battle a storm to get here, the hubaroo is already talking about next year's trip- and we're not even halfway through this one! So yeah, we're kinda crushing on this place! Thank you for all of the excellent feedback! We are so happy to hear that you always enjoy your visit with us at Burnham harbor. Although we are upset to hear about all the obstacles you encountered on your way to Burnham last year, we are thrilled that you made it here safely and decided to come back for a second visit! We hope you continue to visit us here at Burnham in the future; keep on crushing on this place! Dock and facilities are very nice. Thank you for your review. We appreciate hearing what you enjoyed about our harbor during your visit. Hopefully you will decide to visit us again at Burnham harbor in the future! The Harbor Master is absolutely a game changer at Burnham Harbor. She is always available to address any issue or resolve any issue. Her staff is well trained always attentive and provide the best customer service possible. The Burnham Harbor Harbor Master always exceeds our expectations. Thank you John for your review! The harbor master has been notified of your positive feedback. Everyday our employees strive to offer the utmost customer service to ensure all of our boaters have a great experience while staying here. We sincerely apologize that you did not enjoy your stay with us at Burnham harbor. 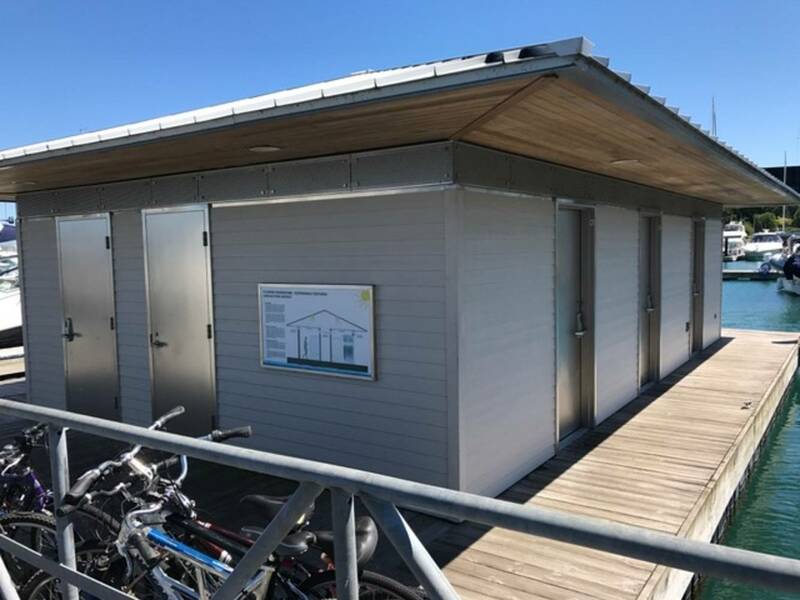 After hours, one side of the harbor office has locked doors, while the other side is always unlocked so that boaters have access to these facilities after hours. While we lock these set of doors for security purposes, we will now be keeping them unlocked to eliminate any potential confusion. All of our boaters should have access to all of our bathroom facilities 24/7 with the code provided. 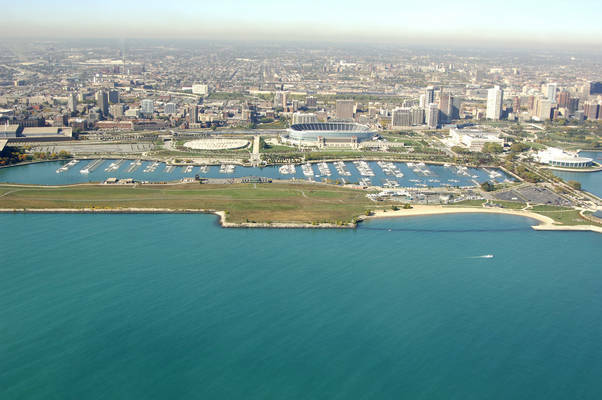 12th street beach is on the east side of our harbor by Northerly Island. Burnham is located centrally between Soldier Field, the McCormick place, Northerly Island's Pavilion, the Shedd Aquarium, the Adler Planetarium, and the Field Museum. In our office, we have schedules for what events are taking place at these different venues; our staff can work with you to find the perfect weekend to suit your interests. Unfortunately, the Dockside Cafe is a separate, independent business from the Chicago Harbors, so we cannot further assist you with this concern. If you experience issues your pedestal or hose, please let the staff know in the office as we can help assist you in these obstacles to make your reservation worthwhile. 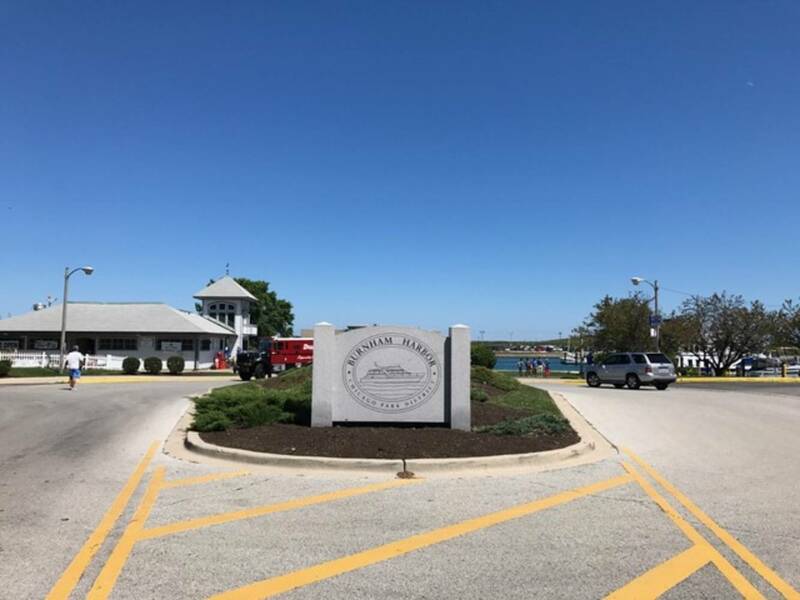 Again, we apologize that you did not enjoy your stay at Burnham harbor; we hope you decide to make a reservation with us in the future, and we will help ensure that you are in a quiet, comfortable location for a future visit. Hello Michelle. Thank you for making a reservation with us at Burnham harbor. We are happy to hear that you enjoyed our marina. Unfortunately, the pump on our floating bath facilities went out of order during your reservation. This is a rare occasion, and we did have a plumber out there that day to address the issue. We offer a selection of West Marine items in our ship store between J and K dock. If you have any recommendations of new items for us to add, please let us know, and we will look into adding these new items. We hope you will make another reservation with us in the future! Nice harbor at a nice location! It's very obvious its run by the government/park district. There is zero customer service and the I dont care attitude. Didn't answer the radio, security gate did not close and lock and several water leaks on the dock. I politely brought all of these to their attention and got a shrug of the shoulders. This is our second Chicago Harbor this week and it also surprises me that no one checks you in or makes sure you are in the correct slip. You could very easily pull into any empty slip and they would never know you were here. Zero security! Thank you for taking time out of your day to review our harbor. We sincerely apologize that you did not have a better experience here in regards to our customer service. Our harbor master has been notified of this concern. We purchased a new marine radio, and we now have two marine radios in our office monitoring 9 and 16. Our switch to/working channel is 71. The gate and leaky spigots have been addressed on our maintenance log, and work orders have been submitted. Every day we complete a full audit and two additional transient audits. We are constantly monitoring what boats are in what slips to ensure everyone is in the correct location for security measures. When we are closed, we have security here after hours. Security's number is posted on the inside of all of our gates if any assistance is needed. Thank you again for bringing all of these concerns to our attention, and we hope you will consider staying here again at Burnham harbor in the future. Excellent marina, my favorite of all great location and very friendly crew. Thank you for making a reservation with us at Burnham harbor. We are thrilled you enjoyed your visit, and we hope you continue to make reservations with us in the future! The online system worked flawlessly. The Harbormaster was very accommodating at our request and where we would like to dock. 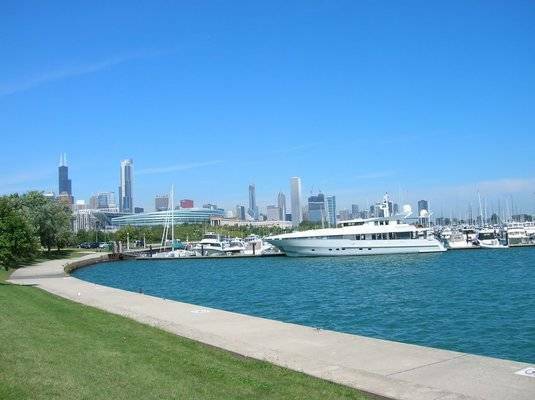 The dock is beautiful and access to Northerly Island and other amenities is awesome. We are happy to hear that you had a pleasant experience using Dockwa! The more information you provide us in your reservation notes concerning your preferences, such as dock locations or specific ties, the better we are able to assist you. Our goal is for you have a flawless experience for your reservation. Please continue to add special requests for your reservation(s) that way we know what things are important to you for your stay. 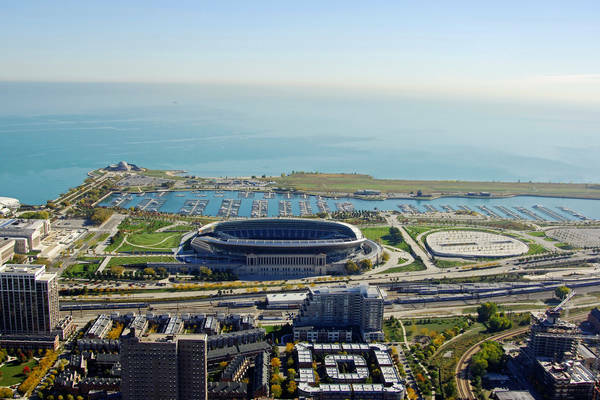 We are thrilled that you enjoyed the close proximity to Northerly Island and the amenities here. Please consider staying here at Bunrham again in the future. Thanks for s great stay. Thank you for staying with us at Burnham harbor. We are happy to hear that you enjoyed your stay, and we hope you will continue to make further reservations with us in the future. Very good facilities and accommodating. Thank you for your review. We appreciate it and we are glad that you enjoyed our facilities! The app made it very convenient. We knew the gate codes, slip assignment and could easily navigate the harbor. Thank you for your review. We are excited that you liked using dockwa to make your reservation. Please consider making another reservation at Burnham harbor in the future; we would love to have you stay here again! Great and I plan to use Burnham in the future and really hope I get Dock H again! We are excited to hear that you enjoyed your time at Burnham harbor. Thank you for taking time out of your day to review us! If you decide to stay with us again in the future, please indicate in the special requests section that you prefer H dock. We will try to meet this accommodation to the best of our ability. We hope to have you stay here again in the future. Amazing view of the city!!! Excellent Wi-Fi connection. Food delivered right to your slip. Very friendly resident dock- mates. Ride share & cab drop off & pick up at Harbor House. Great walking paths for dogs. Overall could not recommend more!!! Thank you for taking time out of your day to review us. 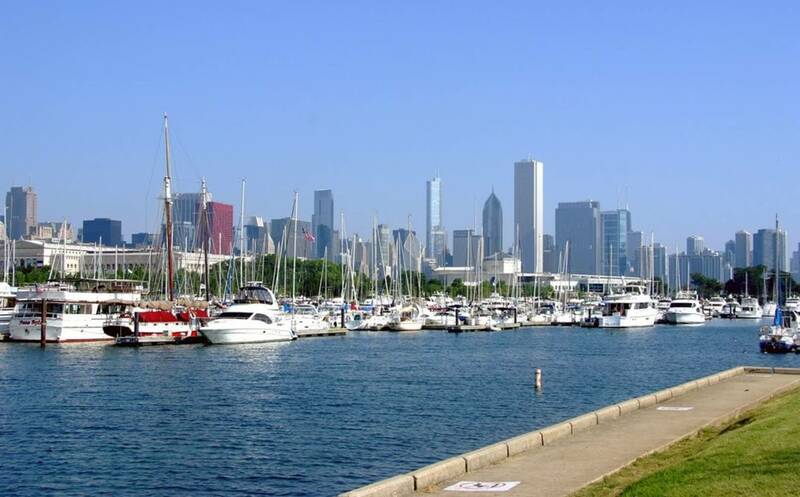 Being in the heart of Chicago makes Burnham harbor a wonderful place to stay. This season we started installing new Wi-Fi receptors, so we are thrilled to hear the positive feedback in regards to this. We are glad you enjoyed all of our amenities, and we hope you make another reservation with us in the future. In town for the U2 concert at Soldier Field and best spot to slip. We always come the Burnham when we visit Chicago and everyone is very nice. 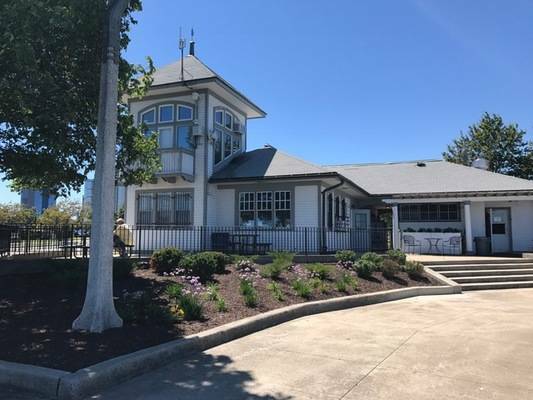 We visit the Burnham Harbor Yacht Club each trip as well and they always make you feel like you are a member there. Great time! Thank you for the great review about our harbor and staff. We are glad you enjoyed visiting the yacht club as well. We look forward to having you stay with us again in the future. Doesn't have all the amenities that we would like but very good overall. Hello, thank you for taking time out of your day to review Burnham harbor. We are glad you enjoyed your visit here. We are always open to hearing suggestions on how to improve the amenities and facilities here at Burnham. Please let our office know what accommodations would make your stay better, and we will try out best to update the harbor in terms of these. We hope you consider staying at Burnham again in the future. We are excited to hear that you had a positive experience at Burnham! Please contact the staff in our office if you have a similar situation in the future. We will have one of our dock attendants come to your slip and clean off the surrounding area for you. We hope to have you stay in our marina again in the future. Hello Raymond, thank you for taking time out of your day to write this review. We sincerely apologize that you did not have a positive experience staying here at Burnham harbor. It was our mistake that we did not update your slip assignment prior to your reservation, since it was assigned to a seasonal slip holder that week. While we try our best to accommodate everyone's requests, especially the specific docking and ties, we are almost at full capacity for slips 40ft and up. Because of this, we only have a few slips available and with additional requests and other reservations, it provides us with even less options to assign reservations to. Again, we apologize that you had a difficult time with our staff and that your experience was not better. Our harbor master has been notified of everything involving this situation. We hope you do consider coming back to Burnham in the future, and we will work with your specific requests to ensure you have a great vacation and reservation here. Please Note: 2-3 night minimum may be charged for special events of holidays. Burnham Harbor has a 30ft minimum. 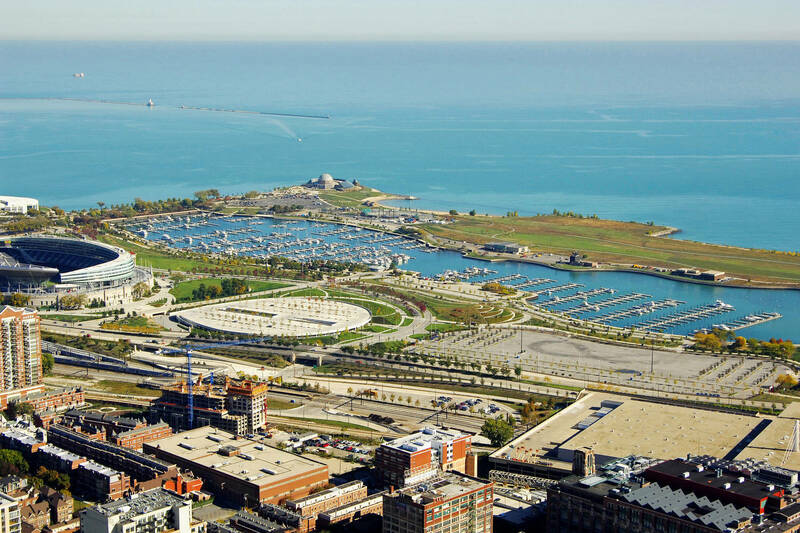 Burnham Harbor is located within walking distance of the Chicago downtown and is situated on the Museum Campus. 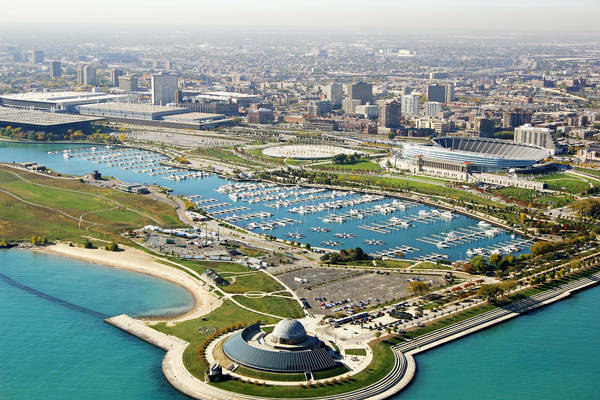 It is the largest harbor in the Chicago Harbors system. 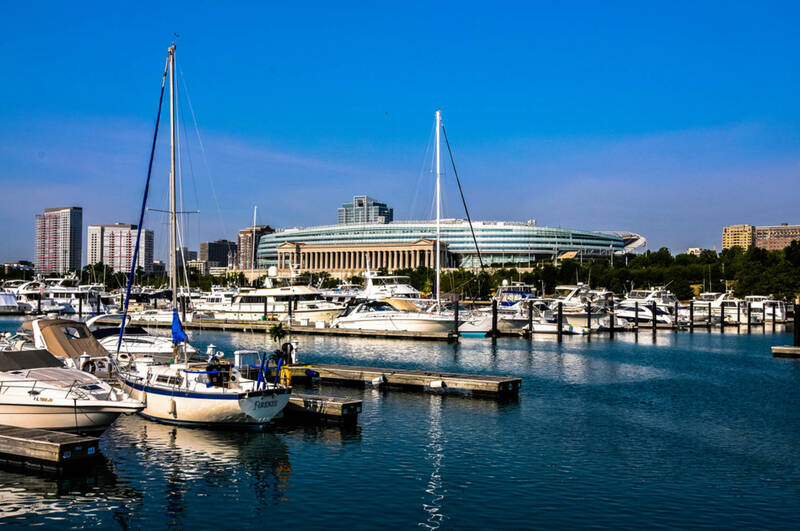 Surrounded by a stunning skyline view, the Adler Planetarium, Shedd Aquarium, Field Museum, Soldier Field, and McCormick Place the harbor is a focal point of the City of Chicago. Burnham Harbor is also home to the Burnham Park Yacht Club. The harbor has 1126 slips, mooring cans, and star docks and can accommodate boats from 28-100ft + in length. Transient docking is available; please call the harbor directly for reservations any time after May 15. Burnham Harbor has a fuel dock facility with gas and diesel fuels. There is a laundry facility in the Ships Store. Waste pump-out equipment is available on a no-charge basis. There is a 3-lane launch ramp at the harbor with parking for approximately 43 vehicles with trailers. 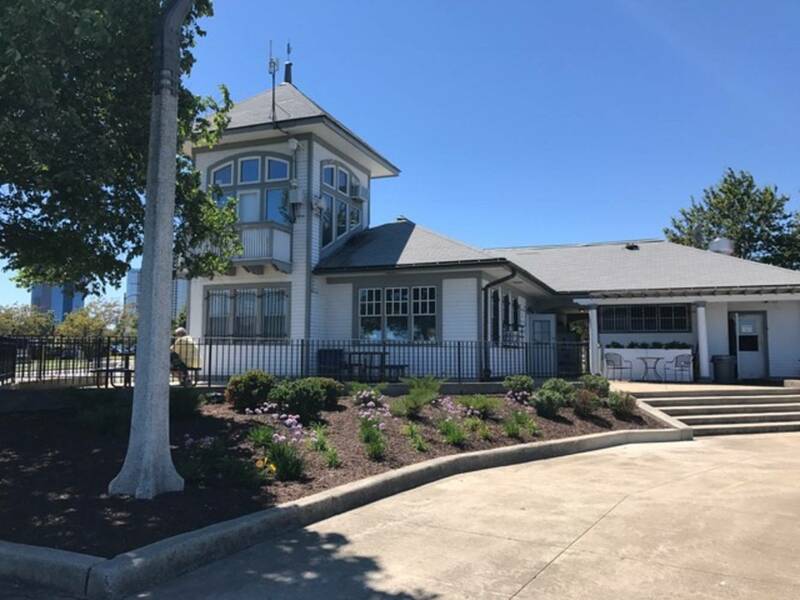 There is a mast stepping/unstopping capability at the Burnham Park Yacht Club, located on the east side of Burnham Harbor. The harbor monitors channels 9 and 16 and the switch to/working channel is 71. Boaters, please note: No Overnight Trailer Parking is permitted.